And your great great grand parents. And your great great great great grand parents. The first catalog was published in Venice in 1498, even before the Gregorian Calendar was issued. It was a hand-lettered and hand-bound pamphlet of sorts. The inside included a list of books available for purchase. The pamphlets were created for distribution at the town fair. This method was used by a handful of book publishers, seed sellers, and nursery sellers (nursery = young plant). This limited use of catalogs continued on for the next three centuries. 17th century Europe saw a surge in mail order catalogs. The instigation of this surge was due to the technological advances in the printing press and the growth of booksellers (why yes, there is a causal relationship there). The first mass produced mail-order catalogs were created for the retail sale of books. I use the term “mass produced” lightly. At this point in history, printing was still pretty expensive and manual. The price of books and the price of creating and printing catalogs was high. 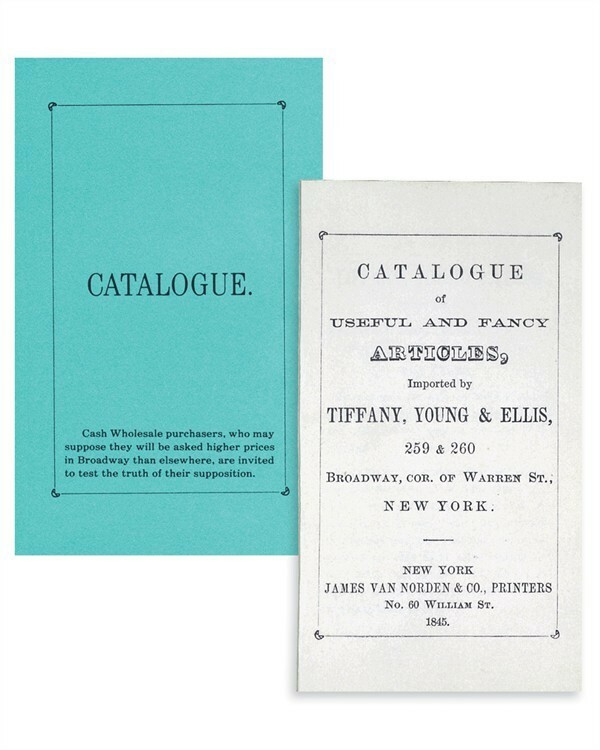 However, the catalog seed had been sewn and other retailers and traders saw the massive opportunities the emerging print technologies permitted. They were quick to jump on the mail-order bandwagon. Let’s take a treacherous 19th century trip across the Atlantic Ocean and get off on the Eastern Coast of the United States. Are there catalogs in the United States? The credit for the very first mail-order catalog in the United States is often mistakenly given to the Sears Roebuck Mail Order Catalog. Truth is, in 1845 Tiffany and Co. released a catalog called the “Blue Book” making it the first mail order catalog in North America. Second up was the “Eaton’s Catalog” that was printed and mailed in Canada in 1875. 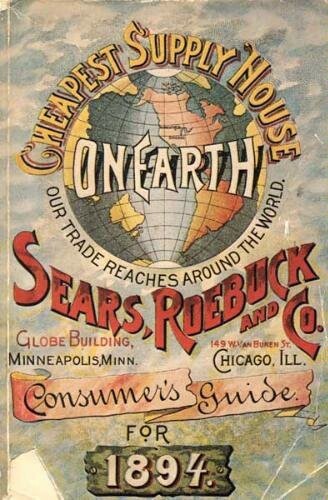 It wasn’t until 1894 that Sears and Roebuck published its first catalog. 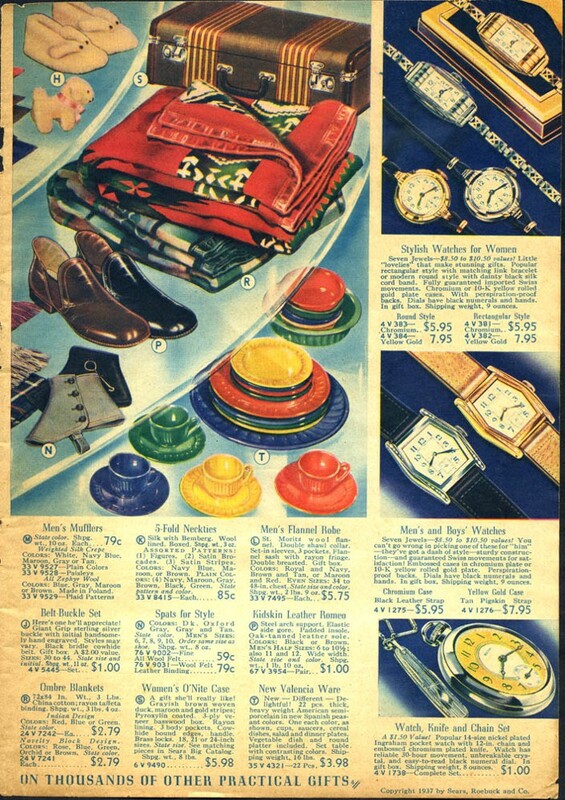 The rise in consumerism after both World Wars had a positive impact on the use and distribution of catalogs. 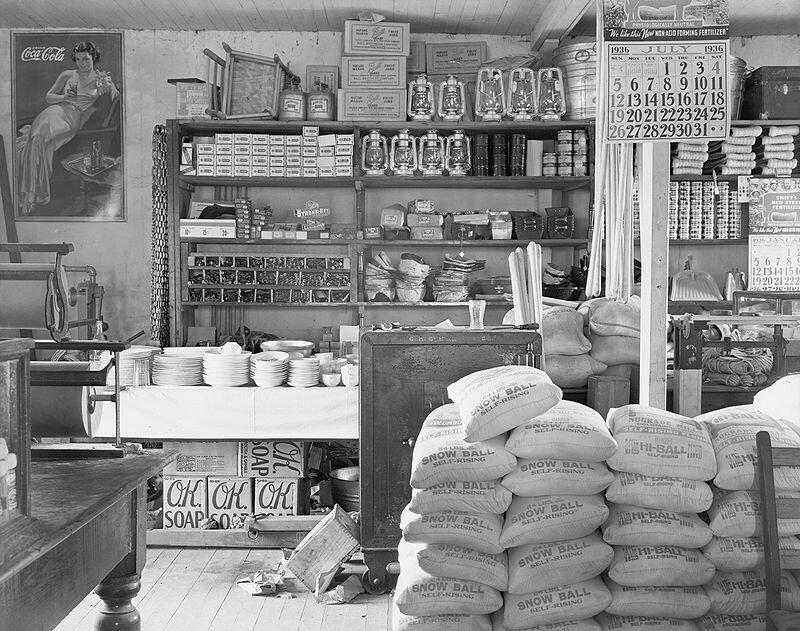 After the First World War, the dynamics of retail in North America began to change. The end of the First World War marked a rise in consumerism. Industries established during the war encouraged rapid technological innovation in electrical and household appliances, as men went to serve, women were moved in to the work place and needed products that made “home life” easier (i.e. packaged foods, notably Kraft Dinner sales sky rocketed in this period), and advertising progressed. Post World War Two marked an even larger rise in consumerism. The industry spurned by the Second World War pulled North America out of the Great Depression, and increased average wages and disposable income for young people. They were ready to spend money. There were three factors at work to help spread the use and distribution of catalogs. Increased leisure time that allowed workers the time to buy;  the growth of industry created more high-paying jobs; and  concurrently, an increase in wage and disposable income. This gavemore people greater spending power. Essentially, the societal changes catalyzed by the First World War and the increase of spending power catalyzed by the Second World War created greater demand for goods. This demand created a related increase in the demand, use, and popularity of mail-order catalogs. In addition to mail-order catalogs retail brick-and-mortar shops were becoming more common and some of the first shopping malls in North America were built. Traditional mail-order-catalog-only companies, such as Sears, eventually opened up brick-and-mortar stores t00. However, keeping the mail-order catalog was a central part of their sales strategy. 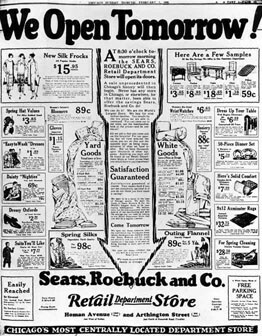 Advertisement for Sears First Retail Store (1925). Image source. As retail stores began popping up with more fervour and the shopping experience in these stores became better, buying through mail-order catalogs became more of a complimentary activity. This did not mean that the power of mail-order catalogs diminished. No sir, the 1980’s was a sort of catalog golden era. 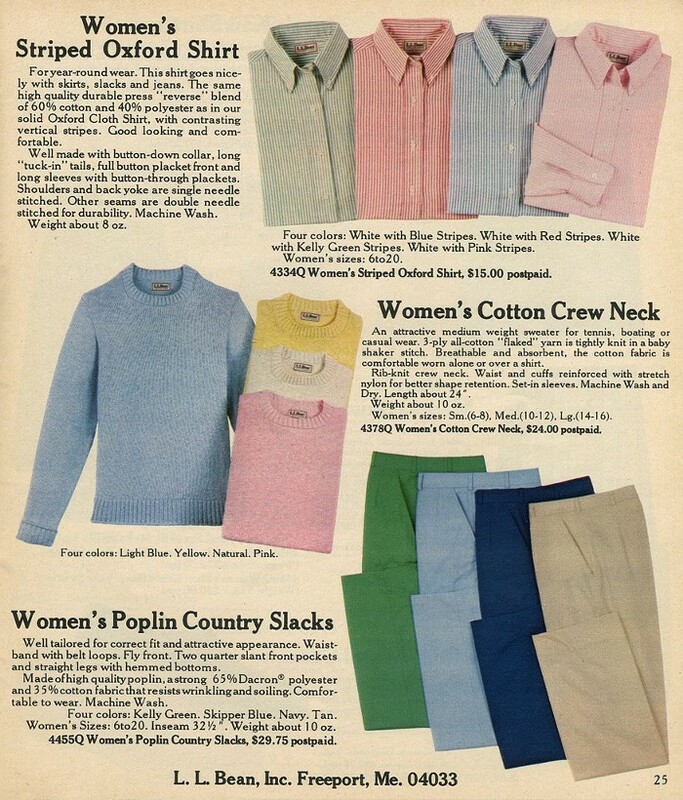 Companies such as Sears, JCrew,Lands End, Talbots, and L L Bean were all banking in cash with the success of their retail catalog business. 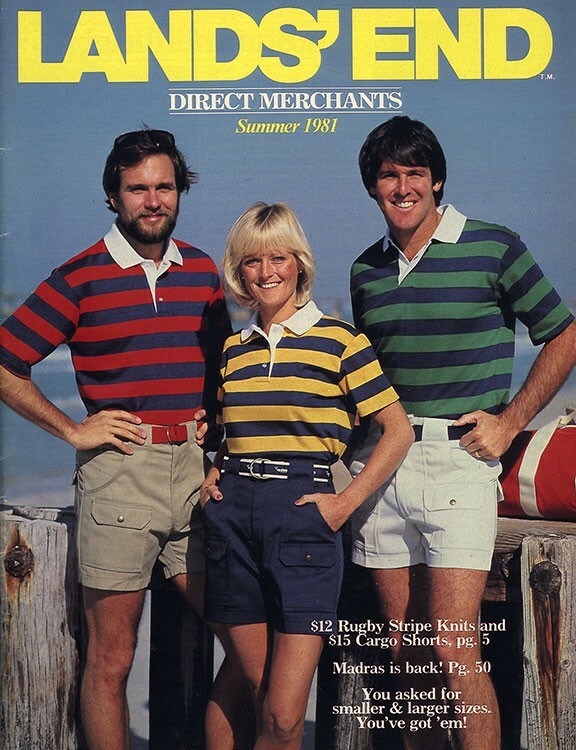 Cover of 1981 Land’s End catalog. Image Source. A page from a 1982 LLBean Catalog. Image Source. 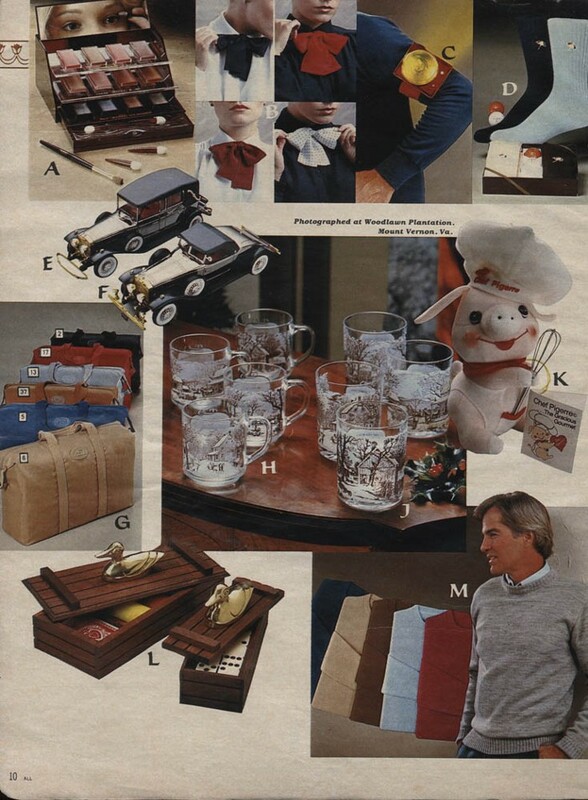 A page from the 1983 Sears Christmas Catalog. Image source. Cover of 1988 J.Crew Catalog. Image Source. In 1988 sales by catalog or mail were estimated at $164 billion. In the 1990’s the retail landscape began to change. The catalog businesses slowly transitioned away from a catalog heavy business model. Sears published its last general catalog in 1993. 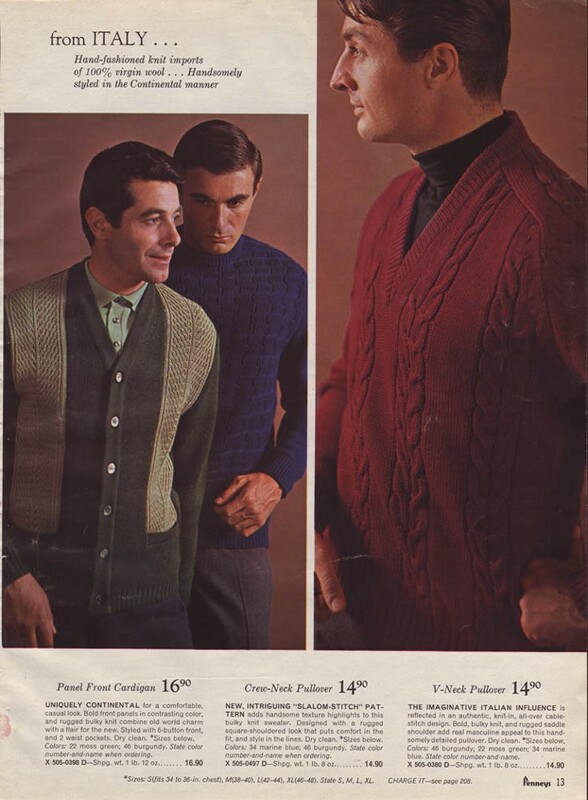 However, they published seasonal catalogs and continue to do so today. You might think this change in landscape was due to a decrease in mail-order sales. Not true. Sales couldn’t be higher. From 1990 to 1996 mail-order sales grew at a rapid rate — 9.9% per year. To put it in context this was about 2 time the average growth of in-store sales. Sears and other mail-order companies were simply responding to a change in the retail climate. But, the value they placed on and saw in mail-order catalogs did not diminish. There has been a booming renaissance of catalogs with fast growing eCommerce companies like Bonobos who use catalogs to grow their sales. These companies have also questioned traditional catalog design and added fantastic new flare to their pages. They move away from the properly organized catalog to smaller more inspirational catalogs with magazine-style product photos and personalized content that is unique to each user. 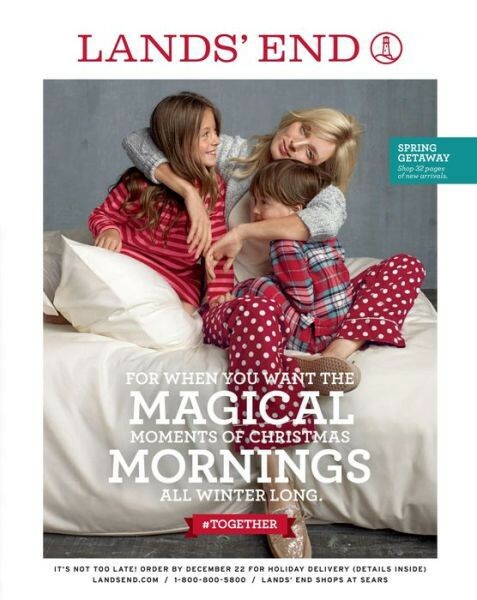 Cover of 2013 Land’s End Winter Catalog. Image Source. 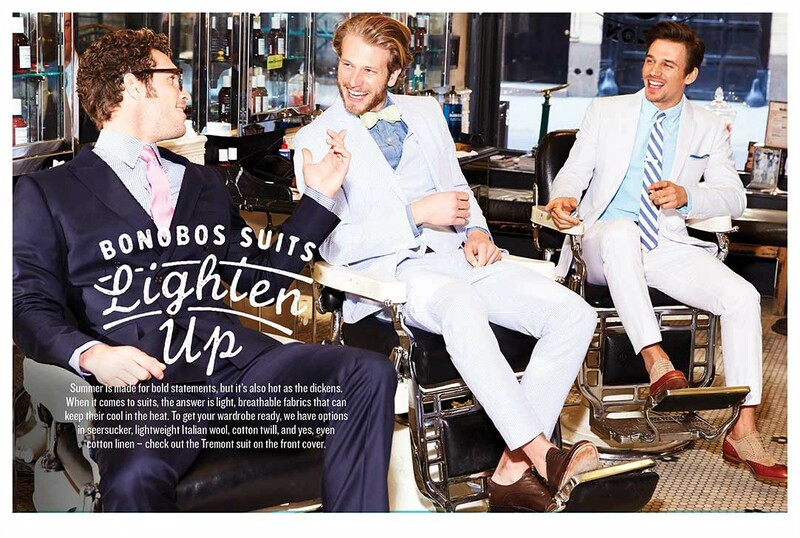 A page from Bonobos 2014 Catalog. Image Source. It’s no surprise that popular retailers such as Saks Fifth Avenue and Bloomingdale’s frequently send past customers catalogs to supplement greater in-store sales. Catalogs also usher in higher paying customers, Craig Elbert, Vice President Marketing for Bonobos says customers who come to the website after first viewing the catalog spend 1.5 times more than a new shopper coming in with no catalog. There is a common misconception that mail-order has been phased out given what appears to be a high cost and poor return on investment. In my research I was flooded with private stories about companies who had pulled their catalog after the 2007 Great Recession to save money, only to notice a dramatic fall in sales — independent of the decrease in general consumption at the time. A jewellery company stopped printing and including their catalog in their shipped packages — they noticed a significant drop in sales. Or this individual who has created an extremely successful business exclusively around mail-orders, essentially leveraging a channel that everyone had abandoned because it was “uncool”. Undeniably, the catalog has now become a highly undervalued distribution channel. Analysis done by the Direct Marketing Association on 2012 data: direct mail (i.e. catalogs and flyers) have a 1.1 to 1.4% response rate. Considerably higher when compared to these response rates: email (0.03%), banner ads (0.04%), and paid search (0.22%). This difference is significant. In 2013 theDirect Mail Association found that 65% of consumers of all ages have a made a purchase as a result of direct mail. Cost per conversion is cheaper. With catalogs you need to spend $47.61 U.S. to land an order. You have to $53.85 for email and $99.47 for paid search! Direct mail is free from the noise and uncomfortable competition for attention, especially when compared to the bombardment of email and digital ads users currently experience online. The catalog has a profound history and holds a valuable place in our history. However, its effectiveness extends beyond its narrative and makes it a potent tool for the future of marketing. This post was first published on the Now In Store blog.